This incident dates back to my early childhood days my dear ol friends. 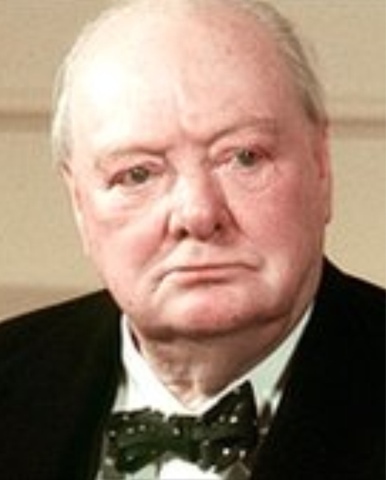 Before you all begin to plunge in to my tale, please sit upright and observe one minute complete silence in the honor of revered (churchill's ), sorry, my tooth. 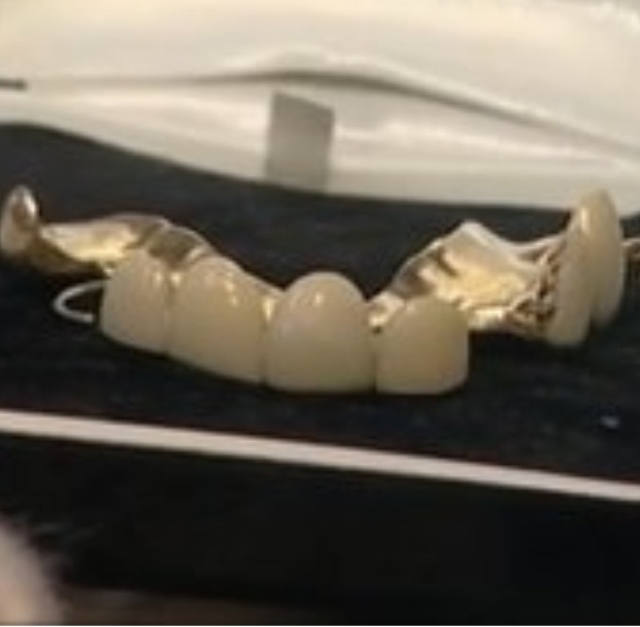 Though you all may or may not be knowing, Churchill's false teeth fetched a whopping £15200 at a recent auction. These dentures were the world war two winners, because they were specially designed by Dr. Cudlipp to create a lisp in speech readily recognizeable as Churchill's in war time radio broadcasts. He used to throw his dentures in rage upon wartime news and poor Dr. Cudlipp had to fix them every now and then. More peculiar fact is that Churchill had himself tore away the call of duty of Dr.Cudlipp on the war front. He said, he is more needed here to fix his dentures. This is a genuine well meant scare, and I know you all are brave and strong comrades, who can turn hell into heaven at a small motivating push. The tale begins with little Me, in a grave dilemma. My little bums had been operated upon by a local Doctor, with a red hot knife only recently and I had been slowly recouping the menacing hazard, only to take another one head on. You all are guessing right, the saying "problems never come alone" and this was proving right for me. Remember here that I am just a kid and my understanding on proverbs is very very scarce. 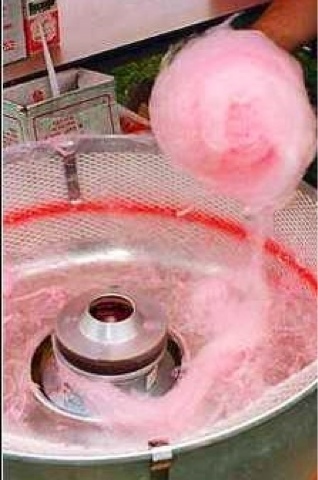 I was a fan of Hawa mithai, (candy floss) which was made by putting sugar in a round box and putting it in round circular motion to form a web of threads of sugar. A delicious treat to the tongue and stomach. I used to get it for mere 25 paise, and savor on them with great yearnings. Doctor had tried to convince me, to stay away from them, as they were the root cause (according to him) behind the knife piercing my bums. My mind had swayed a bit, but as time passed Hawa Mithai had started nurturing my taste buds again. Pain in my bums had been treated with knife, now teeth had started showing same type of pain, and I had endured it with all the gut I had. One centre tooth had started shaking as well, and I had concealed the facts from my mother. My little heart shook to the core seeing blood in my tooth brush, but I had cleverly washed the brush clean. and the days went along. Now the ultimate had happened, this shaking tooth had left its marvelous abode and landed into my belly, along with my food intake. My little mind was all in shambles. It shivered at the mere thought of cutting open the stomach to retrieve the absconding tooth. It is an irony that, no matter how hard one tries to conceal a thing, the whole world connives to bring it out into the open as soon as possible. The news of the case of my missing tooth and my entire aching mouth reached my mother, and as was her ishtyle of frightening me with burning coal in tongs. "Tell the truth" advancing the burning coal towards me, "where is your tooth"? I stammered to speak but no word was coming out. My speech too had deserted me at my utmost time of need. It could have cooked up some story of tooth having fallen in drainage or some other convincing tale, but my little hands had shown by gesture, the place of revolting tooth escapade. Next question was more horrifying, "you have not stopped eating Hawa Mithai?" My little mind wondered, how the hell did she know, but now, my mind dreaded another round of piercings of knife at the stomach. I sweared silently in my mind of complete abstinence from hawa mithai from that day on, just save my stomach the knife torture. The way to the Doctor was very short, and I was entering Doctor's stinking Cabin in a matter of seconds. The drooling Doctor gave the verdict, "whole mouth is stinking rotten, and all the teeth have to be pulled out immediately." My mind now perplexed at a new ordeal, but a little releived at no talk of the missing tooth. Doctor this time was very affectionate to my ordeal, and I only hoped he wouldn't lure me into the knife crusade. "Kabuchhi" he carried on, "if I hear of hawa mithai, " I will use the knife liberally on you. Floss your mouth with salt water thrice daily. Apply the lemon salt paste on your gums and floss after five minutes. Apply honey on gums. Brush your teeth gently daily, morning and night, and in five days if the trouble doesn't go away, I will have no other option but to use the knife. This time I had understood every word that had come out of his precious mouth. The honey paste on my gums was so yummy, that I thought sometimes I could have got this recepie for my mouth a lot lot earlier. But alas!!!. I had only five days deadline, and I prayed like hell every passing day, for some miracle change. The pain I had been tolerating for months had vanished away and I felt more chirpy and healthy. Now that I have grown up I have come to understand, the havoc anxiety showers on gums. So though anxieties look for me, I find tumnnels to escape them always. Now you all may have found many morals in the story, as this is my story and there has to be something great like me in it. This tooth had done all it could do, to ruin my childhood perfectly. My mother would taunt me at occassions, a tree of tooth will grow in your stomach and what not, but I passed them bravely. Today as I sit, reminscing the ordeals, a pleasant brave smile broadens the lips. I stated all facts correctly, now friends this post has come up upon the solemn inspiration of Colgate My healthy speak blog at indiblogger. Friends please pen the great morals you all can see in this story as a comment on my this very post. Start the commenting, do not hesitate. No comments yet, and 10 hours have elapsed. The anxiety is giving me dental phobia, and tooth has started aching. Rise up friends. Thanks Animesh, The truth is "God only Knows now"
Otherwise I could have auctioned it bro. Fabulous post accompanied by wonderful pictures, PL. Very interesting fact about Churchill and the story drives the point home strongly. Thanks tonns @ The Fool, really encouraging. ehh you didn't mention that 'passing out' incident? See for me the moral of the story is- clear your bowel effectively everyday! Thanks bro. Excellent moral find. Passing out "
How can i remember a thing in a different state. My take, you need a thread to floss your teeth. Hot salt water is used to rinse the mouth. So, did or did you not have a tree grow in your stomach?